The National League South title race threatened to take another twist on Tuesday evening as both Woking and leaders Torquay United rode their luck against lesser opposition. Both eventually emerged victorious to leave the Gulls one point clear at the top of the table but the Cards will be aiming to ramp up the pressure once again this weekend with a positive result against struggling Hungerford Town. It was the perfect response to last weekend’s disappointment as Armani Little’s brilliantly taken goal earned Alan Dowson’s side a hard-fought 1-0 win over Truro City as the Cards overcame both a long mid-week journey and difficult playing conditions to make it four wins in five. Meanwhile, Torquay left it late against East Thurrock United, but a stoppage time winner gave Gary Johnson’s side a 2-1 win and maintained their narrow advantage at the summit – while the pair are now seven and eight points clear respectively of third place Billericay Town, with both still having a game in hand. Hungerford will also be desperate for three points on Saturday, albeit for a very different reason, as they look to narrow the four-point gap between themselves and Gloucester City who occupy the final spot outside of the relegation places. The Crusaders, who finished 19th last season, have taken 26 points from their 32 games so far, with seven wins and five draws to show for their efforts. Unfortunately for Ian Herring’s side they also have the second worst defence in the league this season with 64 goals conceded – only Tuesday’s opponents Truro (65) have conceded more. Their recent form isn’t great either with five defeats from their last six games – although the one exception was an incredible 5-0 thrashing of play-off hopefuls St Albans City. Their last two games have been a 3-1 loss to Chippenham and a 1-0 defeat to Welling. The team would appreciate your continued support this weekend so please make the journey if you can and cheer on the team. The Cards were able to name a strong team on Tuesday night and, barring any late additions or injury problems, it would be unsurprising to see Dowse name the same starting line-up. Little’s return from suspension allowed Nathan Collier to return to his more natural position of right-back, whilst former Welling United midfielder Olu Durojaiye made his debut alongside the Oxford United loanee in the centre of the park, with Christian Jolley rested. Jake Hyde also made his return to the starting line-up alongside Dave Tarpey with Greg Luer dropping to the bench. Max Kretzschmar meanwhile continued his comeback from injury with another 20 minutes at Truro and no doubt fans will be hoping to see a bit more of their top scorer come Saturday. 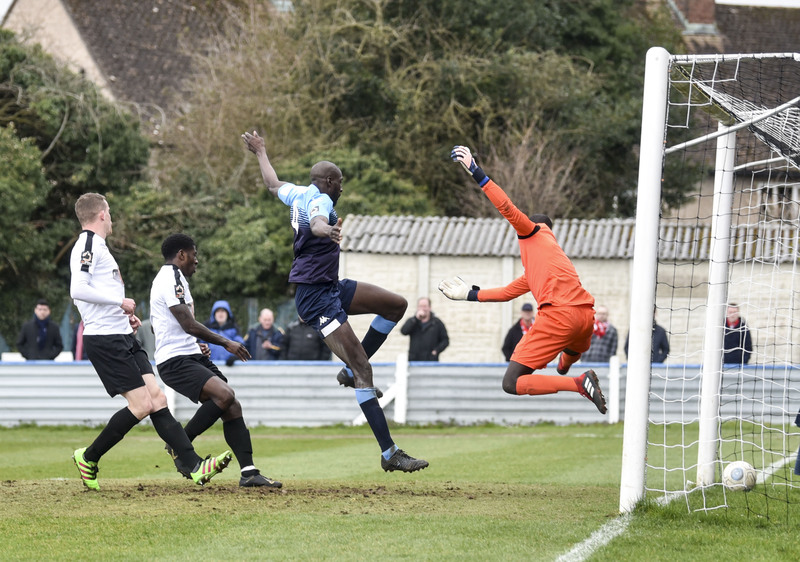 Last time out Hungerford started with Michael Luyambula in goal; in defence was Marcus Johnson-Schuster, Matt Jones, Marvel Ekpiteta, James Rusby and Joshua Martin; in midfield was Tom Anderson, Alfie Whittingham, Rhys Kavanagh and Darren Foxley; up front was Danilo Orsi-Dadomo. There are no former Woking players in their current squad although Bradbury did spend time there earlier this season – scoring once in six games. The Town Ground can be found on Bulpit Lane and has the postcode RG17 0AY – it’s around a one hour and 30-minute drive from the Laithwaite Community Stadium. The nearest station is Hungerford which is a 15-minute walk from the ground. The Cards Trust are planning on running a coach to this game and tickets can be booked by contacting Adam Bowyer via adam.bowyer@cardstrust.co.uk. Matchday ticket prices are £12 for adults, £6 for concessions, £6 for youth (14-16) and free for those under the age of 14 when accompanied by an adult. The Cards complete a run of four successive away games on Tuesday evening when they travel to Banstead Athletic in the quarter-final of the Surrey Senior Cup. Our next league game is at home to Chippenham Town next Saturday as we enter our final 10 games of the season. Woking had to settle for a point against Hungerford Town on a very windy afternoon at Bulpit Lane. Following a comfortable but goalless first half, the Cards suffered a setback early in the second, Alfie Whittingham pouncing on a rebound for the hosts to break the deadlock. Parity was restored shortly after though, a Josh Casey free kick managing to sail all the way into the top corner from distance. On an afternoon where Torquay were defeated in their home game with Weston-Super-Mare, and having created a decent number of chances throughout the contest, Alan Dowson's side will rue not returning to Surrey with all three points and taking the opportunity to steal a march at the top of the table. Dowse made a couple of changes from the side which started the win at Truro in midweek, Greg Luer (pictured) coming into attack for Reise Allassani, and Moussa Diaby, signed the day before on a 28-day loan from Dover Athletic, coming in for his debut at centre half in place of Jack Cook, who was rested and not part of the matchday squad. On a cold and overcast day, in blustery conditions, Hungerford kicked off facing towards the clubhouse. The effective link up of Woking's front four was evident early on and the quadrant, along with imposing work behind them from Olu Durojaiye and particularly Armani Little, the best player on the pitch in the first half, caused Hungerford a number of problems. Around the quarter-hour mark, the endeavour started turning into opportunities on target. Paul Hodges battled well and showed his usual trickery to feed Jake Hyde, who's shot near the byline was parried by Michael Luyambula, Dave Tarpey's headed follow-up then cleared away. Tarpey then turned provider for Hyde, who cut in from the left and shot low, but straight at the keeper. Hodges then produced the most testing effort of the half, hitting a brilliant swerving effort from 30 yards out, forcing a tip round the post. The resulting corner kick from Little found Ben Gerring, who’s headed effort was comfortably saved despite a good contact. Josh Casey and Greg Luer both produced excellent individual runs into the host’s box, eating up the ground in the attacking half to get there, but were both unfortunate their efforts didn't lead to success. An offside against Hyde and flash across the six-yard box respectively, being the resulting outcomes. Midway through the half Woking had further good chances, Armani Little having a brilliant swerving free kick from 30 yards sail just past the left stanchion, and a troubling throw-in from Greg Luer dropped well for Tarpey near the penalty spot, but the forward could only blast over, best chance of the half. Following a great piece of control from Hyde taking down a Craig Ross punt he then tee’d up Little, who was at it again from distance, striking a great effort from 25 yards out, parried out for a corner. The resulting delivery and scramble led to Diarra being unfortunate not to profit at the far post. Craig Ross had very little to do throughout the half, and Hungerford's best opportunity arrived just before the break, a free kick from the left finding James Rusby, whose header was well met, aiming for the top right corner but looping out of play. As the team’s emerged for the second half, the Cards were dealt a blow before a ball was even kicked as Little was substituted, apparently picking up a groin injury during the first period. He was replaced by Christian Jolley. It was a tough opening quarter of an hour for the Cards to negotiate, the intensity and rhythm in their play dropping off, allowing a more spirited Hungerford to begin making inroads further up the pitch. On 55 minutes, forward Danilo Orsi-Dadomo was put through on goal in what looked like a tight offside call, eventually firing an effort which was well saved by Ross, only for Alfy Whittingham to quickly arrive and smash in the rebound. The Cards got back on terms just under ten minutes later, Casey swinging in a free kick from midway through the attacking half, the ball just about averting contact with anyone (despite the best efforts of Diarra at the back post) and drifting into the top left corner. In a bid to try and capitalise, Dowse made a change on 65 minutes, bringing on Reise Allassani for Tarpey. For all the subsequent energy of the substitute alongside Greg Luer down the opposite channel, the pattern of the game had become scrappy, the drop off in quality of play and ongoing presence of the wind continuing to leave its mark. Chances were still falling for the Cards though, especially in the last twenty minutes. Gerring nodded wide from a decent Casey free kick delivery, another ‘Rory Delap’ impersonation (one of many) from Greg Luer reaped havoc in the box and Hyde missed a golden opportunity, getting a touch on a nervy attempt to nod home within the Hungerford defence, the striker latching on to the ball but seeing it trickle agonisingly wide. Up the other end, Ross remained largely untested, though Whittingham and Rhys Kavanagh had been the most effective players for the home side, probing down the attacking left, Kavanagh flashing a very dangerous ball across the six -yard box, no takers. The Cards had further opportunities in the closing minutes, Luer doing really well to get past his man down the attacking right, the eventual shot comfortably saved. Gerring nodded well at an angle to tee up Diaby who launched himself at the ball from close range only to aim straight at Luyambula. Final substitute Harvey Bradbury, replacing Hodges, went close with a low strike and header very late on, but the Cards just could not find the breakthrough. The view from half-time suggested the Cards might build on the first 45 minutes and go on to win the game but the injury to the influential Little, in tandem with the tricky conditions and the early goal conceded at the start of the second period had them chasing the game, not able to return to the more effective work produced earlier, and still squandering the more direct opportunities towards the end. On a day where the top 7 sides all dropped points, the optimist would look to the result being a point gained away from home, but there’s no getting away from the frustration of not sealing all three. The Cards have a swift opportunity to get back into the winning habit Tuesday night away at Banstead Town in the Surrey Senior Cup, before returning home next Saturday in the league against Chippenham Town. Man of the Match: Armani Little – best player of the first half with his energy, aggression, winning of the ball in midfield, efforts on goals and distribution. Honourable mention for Moussa Diaby on his debut, solid at the back coming in for Cook and a threat at numerous set pieces.